Now that the good weather is upon us and people are flocking to the parks and beaches it is inevitable that the interaction between people and dogs will increase. This means a corresponding rise in dog bites. Dog bites can be both traumatic and cause serious injury. 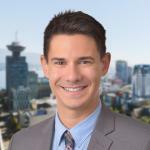 In this blog post, I review some of the elements that are required to successfully prove a dog bite personal injury claim. 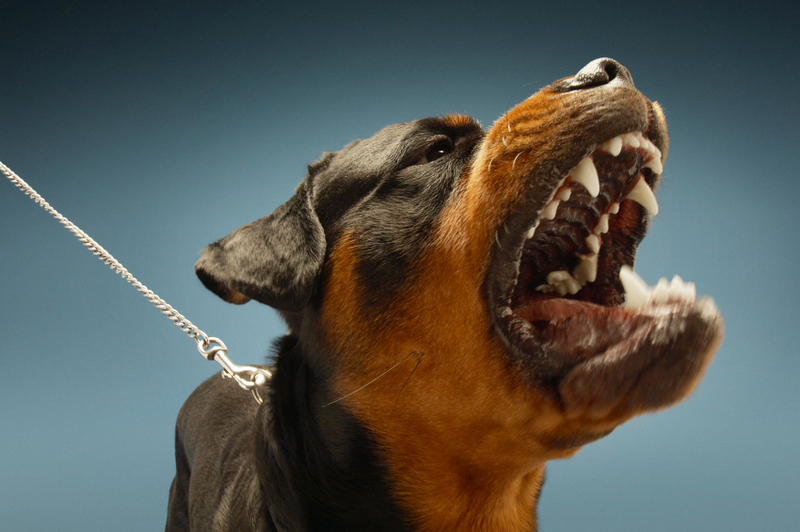 The first step in a dog bite action is establishing that the dog owner is liable for the damage that has been caused. This can be done in one of two ways. and that the owner knew of this propensity. The test for scienter is subjective and considers the knowledge of the specific defendant. In a general sense, this means that if a dog owner knows their dog is dangerous, and their dog attacks someone, the owner will likely be found liable. In addition (or alternatively) to the doctrine of scienter, you can also attempt to prove that a dog owner is liable under an action in negligence. failed to take reasonable care to prevent such injury. The test for negligence is objective, meaning the court considers what a “reasonable person” in the position of the defendant knew or should have known at the time the injury occurred. Simply, a dog owner will likely be found liable for their dog attacking if the plaintiff can prove that the defendant knew their dog was dangerous, or should have known their dog was dangerous, and did not take reasonable precautions to prevent an attack from happening. It should also be noted that, under the Occupiers Liability Act, an occupier of premises can be found liable for a dog attack even if it is not their dog that does the attacking. Similar to negligence, the occupier must have known (or ought to know have known) that there was a dog likely to create a risk of injury to other persons on the premises and failed to take reasonable care to prevent the injury that occurred. Also similar to negligence, this must be proved by the plaintiff on a balance of probabilities using an objective test considering the common law principles of negligence. An occupier cannot be liable for a sudden act of a fierce and violent nature that is altogether contrary to the usual habits of the dog in question either under common law or the Act. The following are some questions that your lawyer may ask or investigate while preparing your dog bite injury claim. Is this breed of dog described in breed manuals as “boisterous,” “aggressive,” “tenacious,” “protective,” etc? Is this dog a breed that, if it attacks, will cause more serious harm than other breeds? Did this dog come from a reputable breeder? Or did it come from a substandard “puppy mill”? Was this particular dog bred to be aggressive? Is there evidence to rebut the presumption of deemed domestication (animae naturae mansuetae), such as being cross-bred with a wolf? Was this dog the “alpha” member of its family? Was this a feral dog (animae naturae ferae) thus retaining its wild state? Is this dog male? Is it neutered? How does this dog demonstrate it wants to go outside? Does this dog frequently pull at its leash? Does it go through doors before its owner? Does this dog beg? This can demonstrate poor control, and lead to viciousness. Does this dog chew/destroy furniture? This can demonstrate boredom/frustration, and lead to viciousness. How is the health of the dog? Dogs that are sick or in pain can be dangerous. Has the owner obtained adequate training for their dog? Is there specific training recommended for this specific breed? What specific techniques were used to train and socialize this dog? Has the owner obtained any training for their dog at all? What commands does this dog recognize? How obedient is this dog to commands, generally? Failure to obey commands can demonstrate poor or no control. Does the dog growl at family members or other people? Has the dog been subjected to any abusive conditions? Did the owner ensure their dog received proper nutrition? Proper hygiene? Was the owner properly supervising and/or restraining their dog at the time of the attack? Why did the owner obtain this type of dog? Why this dog in particular? If it was for protection, this can be significant. What did the owner know about this breed of dog before obtaining it? What specific investigation or education did the owner of this dog undertake before obtaining this dog? What training or experience did the owner or any other members of the household have with dogs before obtaining this dog? What did the owner know about the breeder from which they obtained this dog? What is the owner’s history of dog ownership? Do they have a history of vicious dogs? This could be interpreted as the owner training dogs to become vicious. What prior experience does the owner have with this breed of dog? How did the owner behave at the scene of the incident? Did they blame the victim? Did they attack (including verbally) as well? Did they call off their dog? What remedial action did the owner take following the attack? Has the dog been put down as a result of the incident? Has it been taken to obedience school? Has it been sent away? If the defendant owner says “yes” to any of these, your lawyer will take steps to obtain proof. 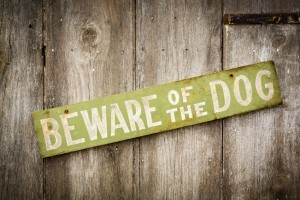 Is there a “beware of dog sign” where the incident occurred? If so, this can indicate that the owner was aware of a propensity for viciousness. If not, this can indicate that the owner was negligent in taking precautions to prevent an attack. Is there video footage of the dog being aggressive? Similarly, is there footage of the owner being abusive or failing to supervise/restrain their dog? Can you obtain either? Do neighbours, mail carriers, paper delivery persons, meter-readers, gardeners, etc. have anything to say about this dog? It may be worth contacting them and asking. Contact the local animal control offices to determine if they have been contacted about this dog in the past. If so, you will want to obtain copies of this information. Are there records of this dog from the SPCA, veterinarians, animal control offices, etc? For example, did this dog have to get stitched up following a prior fight? If so, your lawyer can obtain these records through document discovery. Ensure you preserve evidence of your injuries: photos of bruising, lacerations, stitches, etc. Medical illustrations are an acceptable substitute when photos are unavailable, or if the injury occurred in a sensitive place. Tell your lawyer if you had to go to the hospital after the attack give him or her the details so hospital records can be requested. Similarly, tell your lawyer about any follow up visits to your family doctor or other healthcare provider to deal with recouperating from your injuries. It is a good idea to write or record your story in your own words as soon as you are able. Memories fade quickly and the point is to preserve an accurate record of your emotional state of mind during the attack. A written statement prepared by you or your lawyer is sufficient. If you read through this post and still have questions, you can contact any lawyer at Murphy Battista LLP for more information.